I’ve been craving spicier food lately. Maybe its the year+ without sugar but I really like the heat. 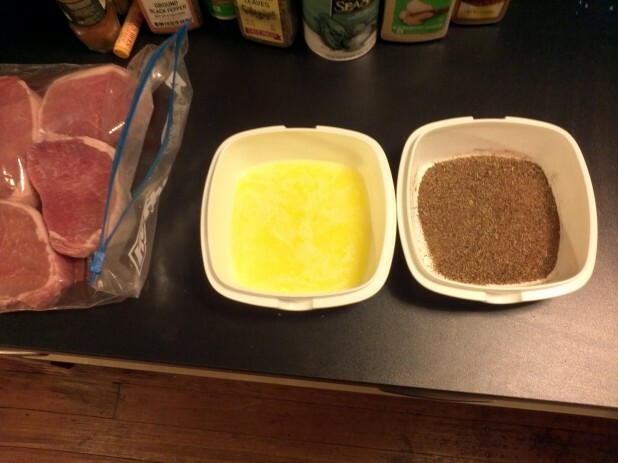 Also, all I had in the freezer was pork chops and we had a huge snow storm in the Northeast. So, enter blackened pork chops! The taste was really amazing and to my surprise the seasoning stayed on way better than when I made parmesan encrusted pork chops. After I cooked them, even used the same grease to cook the ingredients for my weekly breakfast quiche and it tasted divine! Man was this good! 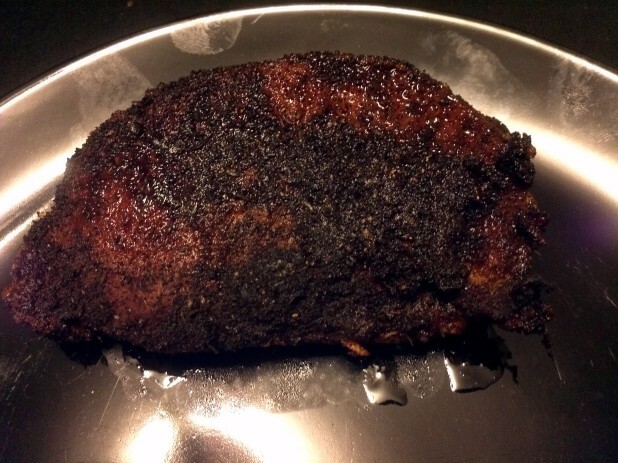 I’d actually never made blackened anything before but the crust turned out really well! Start by assembling the spices for the mix. 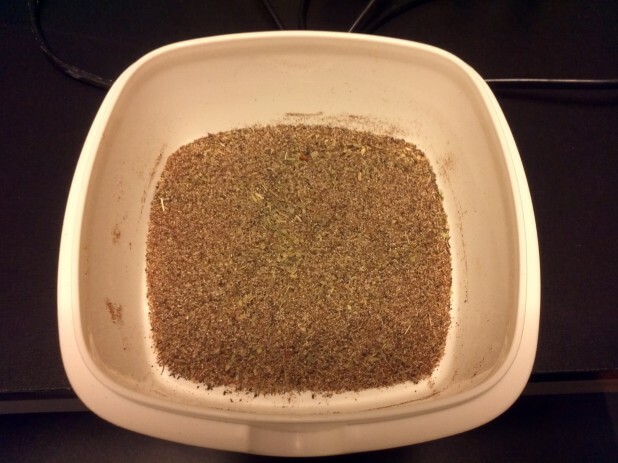 You want to put them in a shallow container that can fit the whole pork chop. 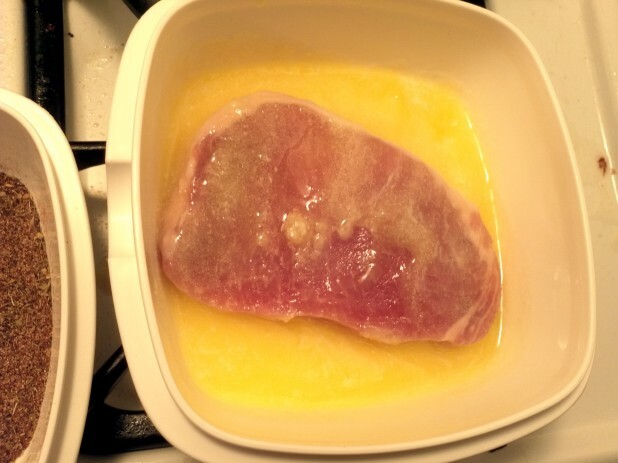 This is just one of my tupperware containers from Ikea but its the perfect size for the pork chops. 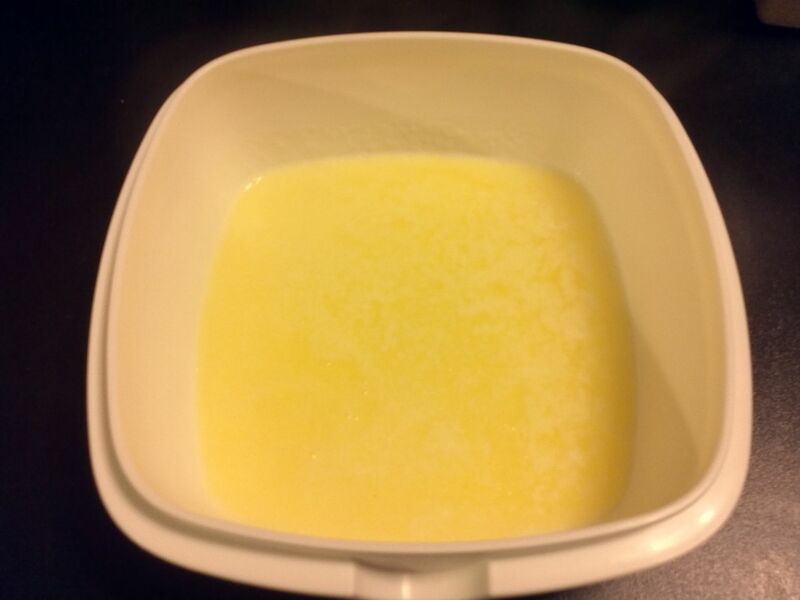 Melt 4 T of butter in another container. You will be dipping the meat in the butter, then dipping it in the spices. Next heat some bacon grease in a cast iron skillet. You really need to use cast iron if you want the crisp crust on the pork chops. 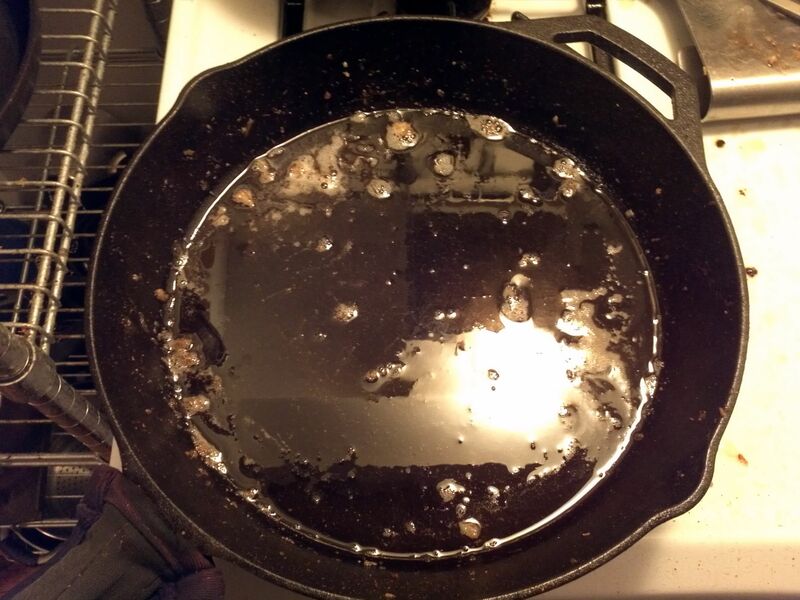 Make sure the bacon grease is good and hot. Set up your station with the chops, butter and spices. Coat the pork chop first in the butter. Make sure to get it all over and on both sides. 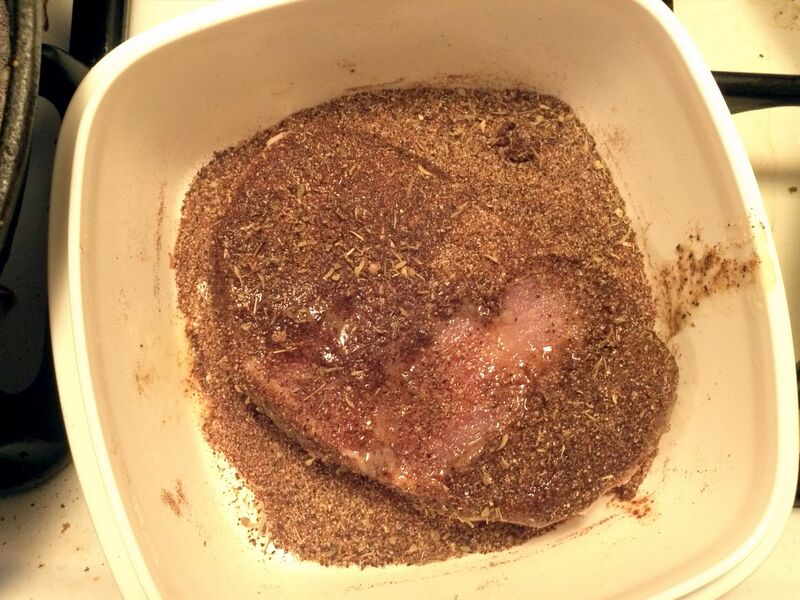 Next place the pork chop in the spices. Now let ’em sizzle! Resist the urge to touch them until you’ve let the time pass. I would do 3 minutes for thin chops and 5 minutes for thick chops. These I did for 5 minutes. 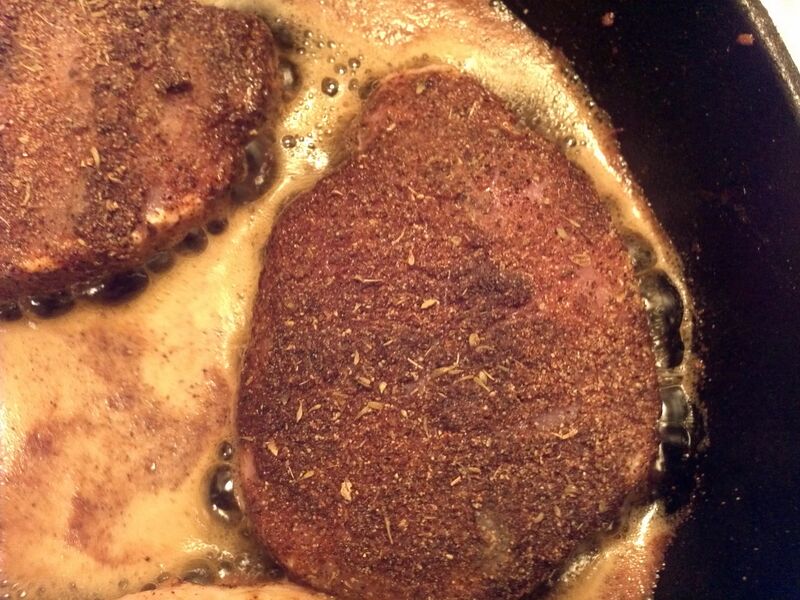 Flip the chops over and let the other side cook. 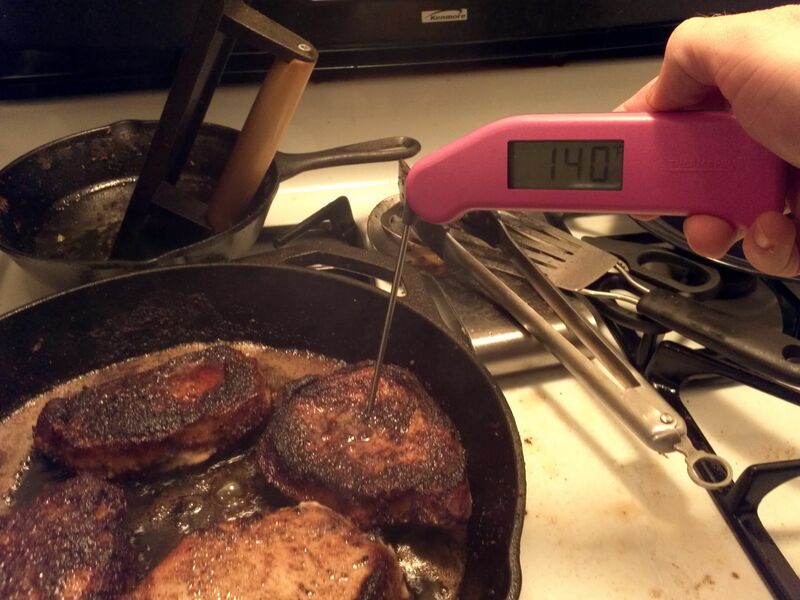 If you want to make sure they’re done, check them with a thermapen. If you weren’t aware, the new safe temp for pork is 145 degrees. 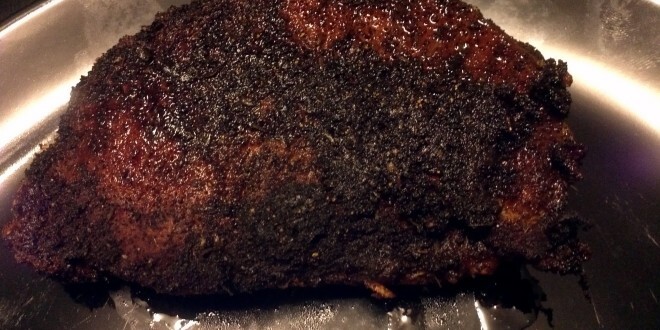 The pork will also raise some after you take it off the grill and let it rest. I cooked these for a little longer to make sure they were done. That’s it! 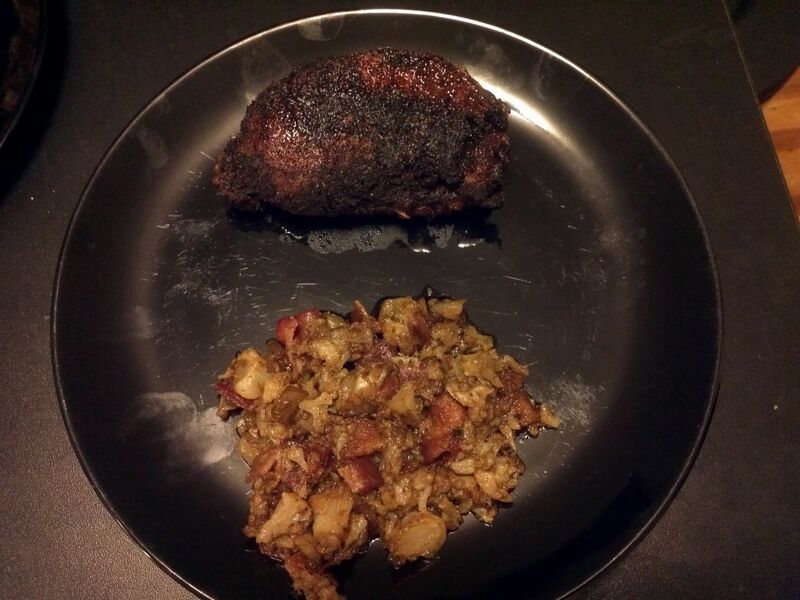 Here’s one of the Blackened Pork Chops with some Spicy Bacon Cauliflower. 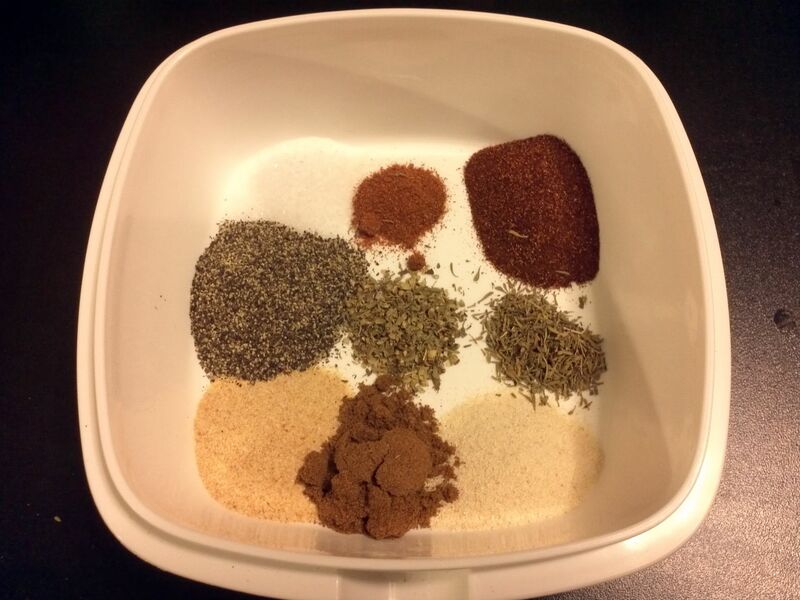 All of the carbs are from the spices, you could reduce the amount of spices if you want to lower it. How is this keto? The ratio of fat and protein is backwards. How do you recover to make your keto ratio? While the individual Pork Chop doesn’t have the perfect keto ratio, it can still be a part of a keto diet. 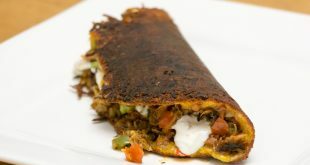 You can pair it with a fatty side with lots of cheese or cream. 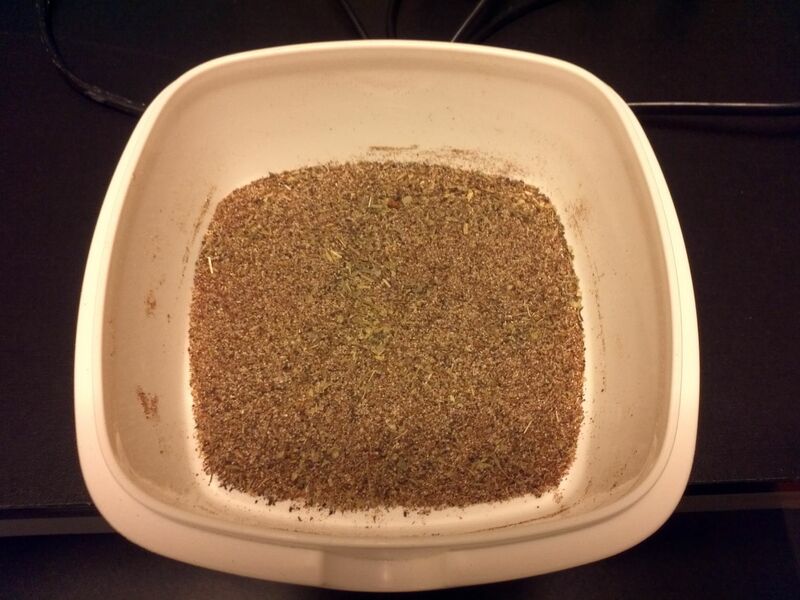 Additionally, the ratio is based on the intake for the entire day. 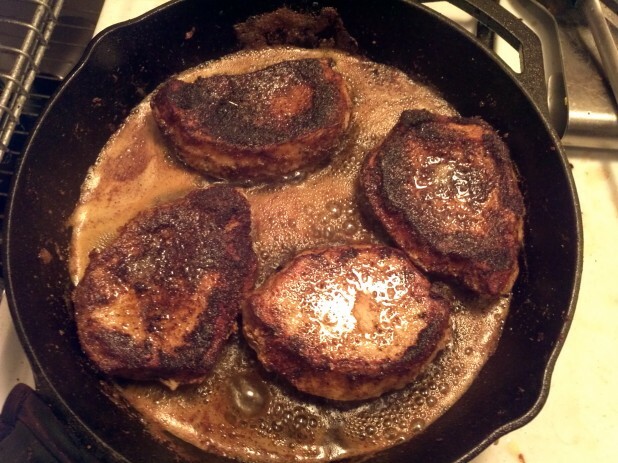 These pork chops turned out yummy! I loved how juicy they were, too. Way easier than I thought. Thanks!